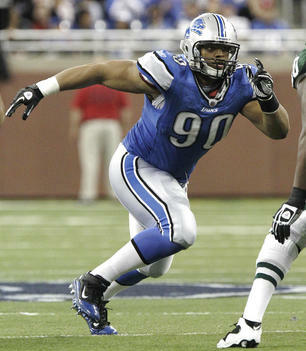 Detroit Lions defensive lineman Ndamukong Suh was named AP's Defensive Rookie of the Year after a season of 66 tackles and a position-leading 10 sacks. Suh received 48 of the 50 votes and was the first defensive lineman to win the award since Julius Peppers in 2002. Suh was also named an All-Pro and helped the Lions to a 6-10 season where they showed hope for the once pathetic franchise. With Suh anchoring the defense will be a big reason for the Lions if and when it happens. He was the first defensive player taken in the 2010 NFL Draft, going second overall after AP Offensive Rookie of the Year QB Sam Bradford.